Alex has over 12 years’ international experience providing strategic commercial advice and reputation management counsel to global corporates and high profile individuals and investors. He oversees all corporate and financial client work at New Century and he has worked on various mandates across Europe, Asia, Africa and the Middle East. Alex has worked across financial and professional services, banking, institutional and retail broking, investment management, energy, natural resources, TMT, legal and sports business industries. He has significant experience advising on major cross-border legal disputes out of London and other major legal centres in Europe. Between 2011 and 2013, Alex advised BP’s management on its investment in Russia and the subsequent sale of its 50 per cent stake in TNK-BP to Rosneft, as part of the Russia-state oil company’s US$55bn acquisition of TNK-BP, in what was one of the biggest and most complex financial transactions in recent history. Alex is a founding member of CityUK’s Moscow International Financial Centre Joint Liaison Group and regularly advises clients on commercial market entry strategies, including for jurisdictions across Europe, Middle East and Africa. 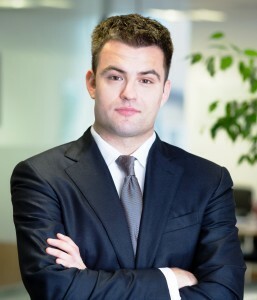 Alex joined New Century in the summer of 2009 from a private equity and capital markets consultancy and is a graduate of University College London. He speaks fluent Russian.